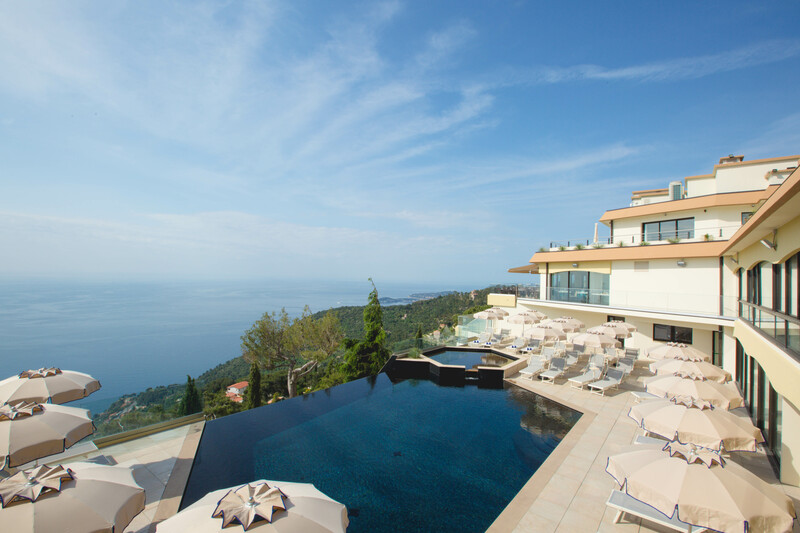 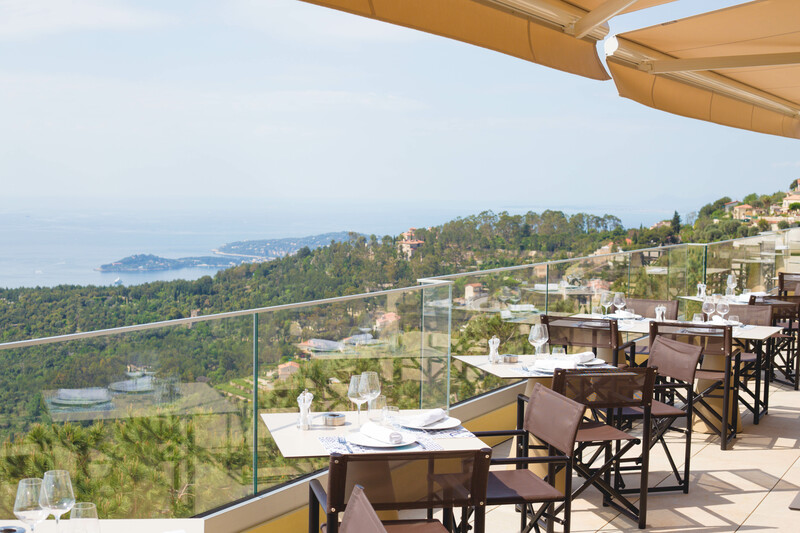 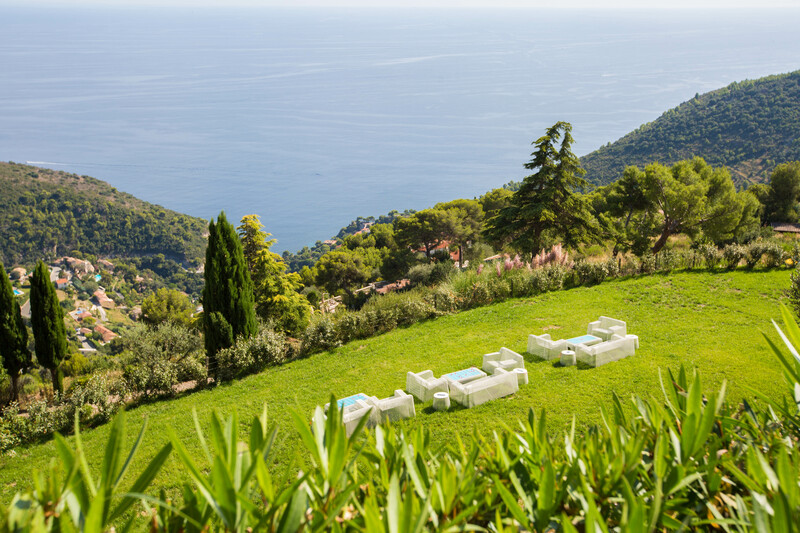 The 4 star hotel ideally situated between Nice and Monaco a few minutes from the medieval village of Eze with a panoramic view of the Mediterranean for a relaxed stay on the Côte d’Azur. 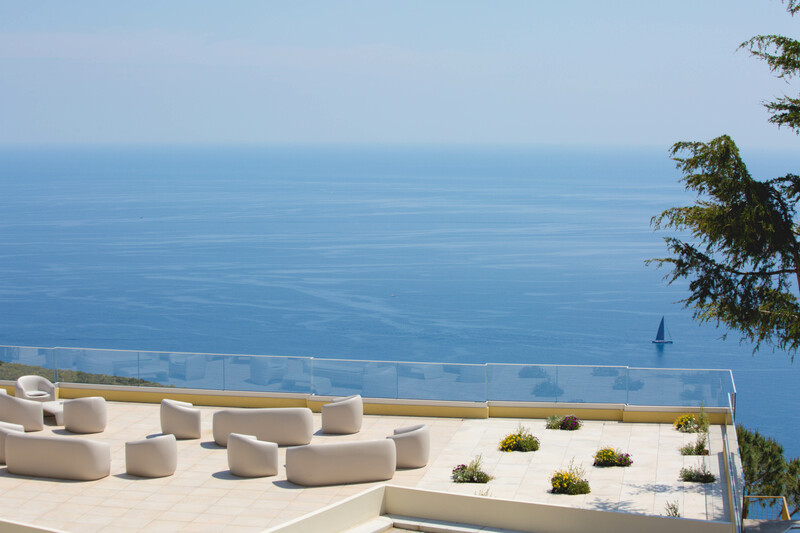 The 87 rooms and suites, all completely renovated in a bright and peaceful atmosphere where the Azure blue dominates, have a large private terrace with a view of the Mediterranean Sea. 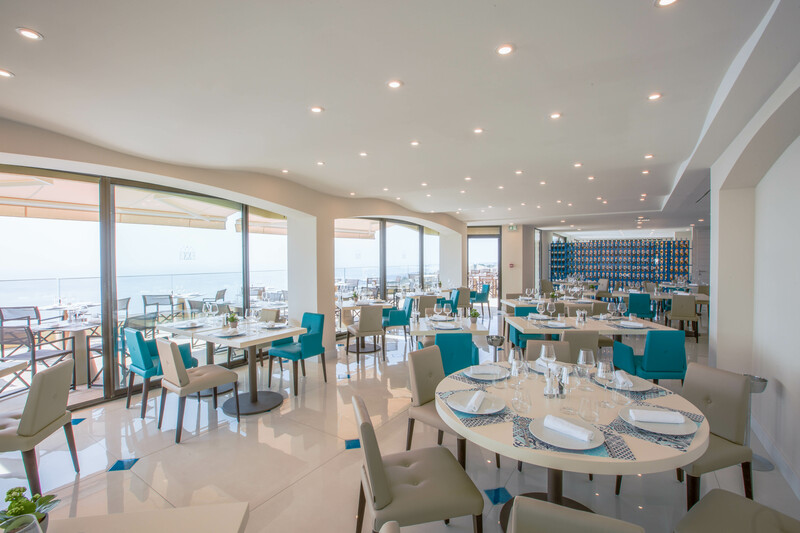 With two restaurant and a Lounge Bra, Le Tillac serves ‘bistronomique’ Mediterranean cuisine using regional products and Le BioBar serving delicious healthy natural cuisine from regional organic products. 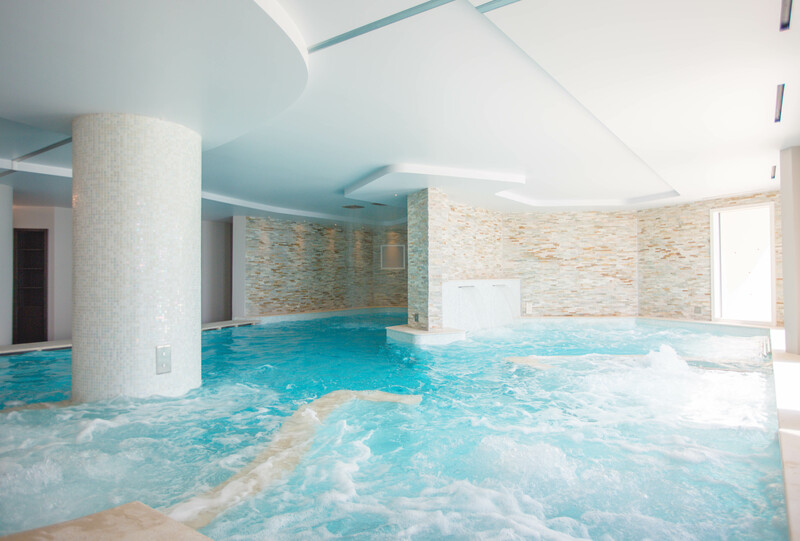 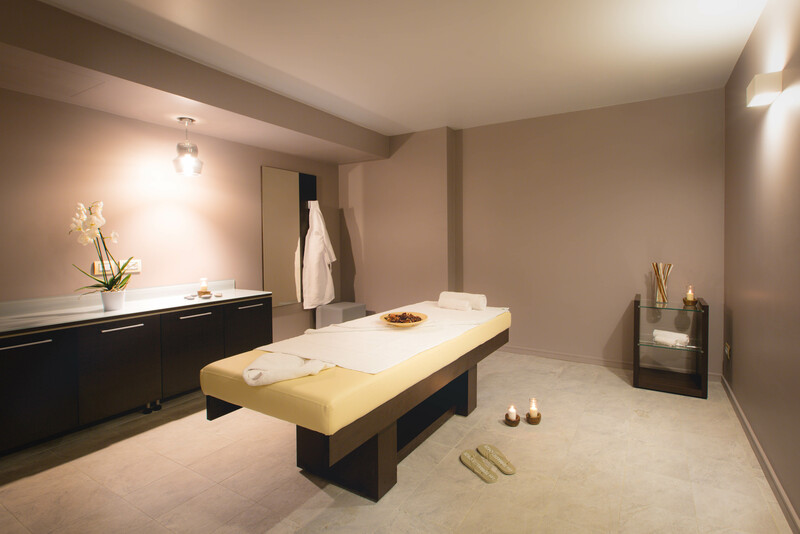 The 500 square metre spa with indoor pool is unique to the Riviera offering a real Detox and Relaxation experience. 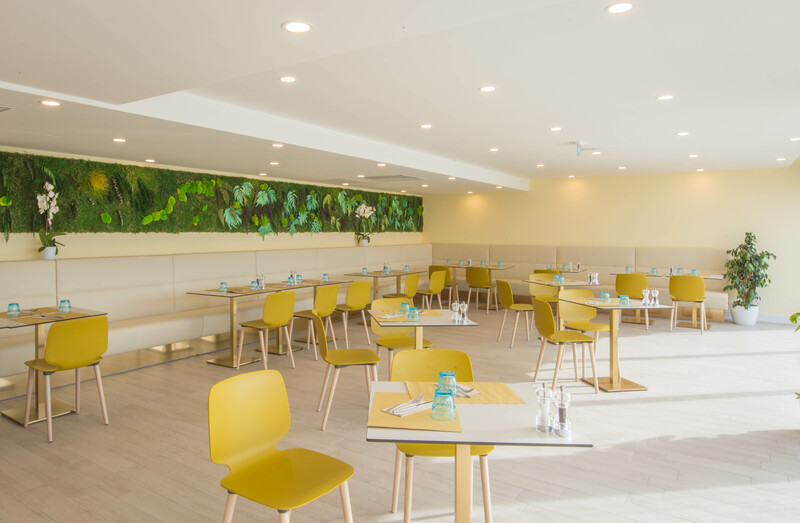 130 square metres of event space can be divided into 2 rooms with a capacity of 120 people theatre style and 80 banquet style. 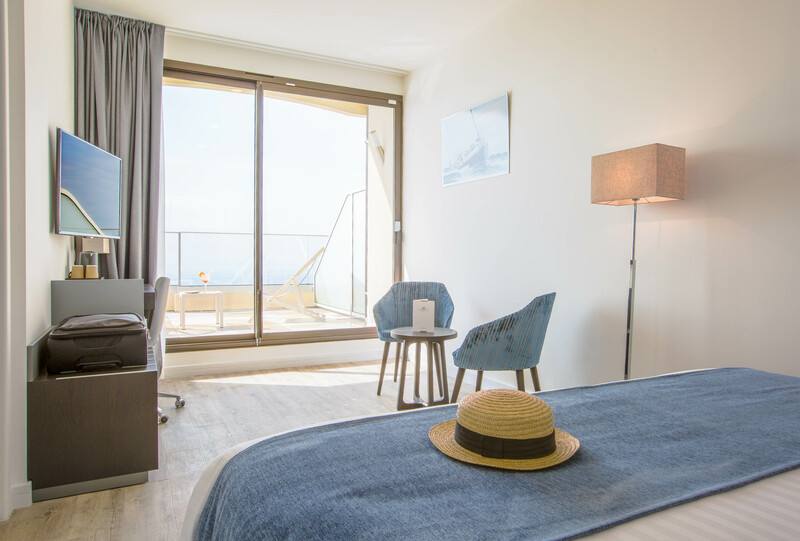 The room has natural light and stunning views. 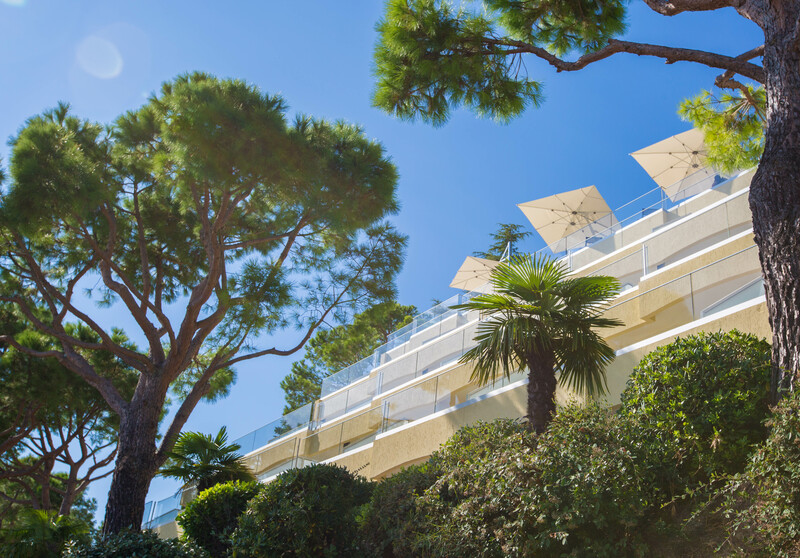 The hotel has an outdoor infinity swimming pool and surrounding area offer a large choice of activities from tennis to car rallying and water sports.